When beginning this book, I felt as if I’d been transported to an early Stephen King novel and was in my own ‘little heaven’ and excited for the rest of this novel. But in the end, I had some mixed feelings. The characterization is superb. Yes, the three MCs are basically killers for hire, but it didn’t take long to become invested in them and their story. The dynamics between them are even humorous at times and although they’d all worked alone by choice and are initially brought together by interesting circumstances, they develop a strong sense of loyalty to each other. 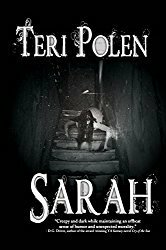 The Reverend is appropriately loathsome and evil, the children of Little Heaven are about as creepy as they come, and if you like your horror on the gory side, there’s an abundance in this novel. Although it wasn’t the ending I’d hoped for, it was appropriate for the story. That being said – this is a looooong book and it took quite a while to get to that ending. 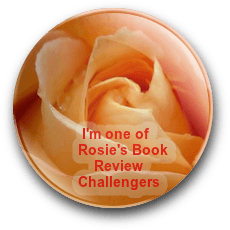 Admittedly, I skimmed through many pages, lost focus, or put the book down several times. I’ve read The Troop and The Deep by this author, and although I don’t think a book of a comparable length would have done this story justice, maybe it could have been streamlined a bit. Little Heaven is scheduled for publication January 10th, 2017. Thanks to NetGalley and the publisher for the ARC. I was listening to The Deep on audio for a while and finally just…stopped. It bored me to tears. My partner is interested in this one, but no thanks! Especially after what you’ve noted. Just found your comments in my spam folder! 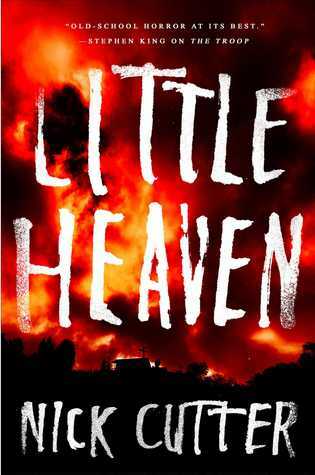 I did like The Deep and liked the story in Little Heaven, but felt like it was bogged down with so much extra info. I read The Deep, which is set in a (fictitious, obviously) research station at the bottom of the Challenger Deep. That’s 7 miles underwater. Trouble in a place like that is real trouble. But there were too many distractions — the pov character’s psychological issues, family issues, and bees, of all things — that the essential horror got diluted somehow. But others raved about it. Not sure I’m up for Little Heaven. Thanks for the review, Teri, in any case. I knew I liked The Deep better than The Troop, but had to refresh my memory about it. Now I remember the psychological and family issues, bee, etc. I’d have to say that’s also the case in Little Heaven – straying from the primary plot to fill in the backstory. There’s a good story here, but you really have to settle in for the long haul. Thanks, Audrey!